Dr Jim Lovell is a Senior Research Fellow, currently employed as Project Manager for the AuScope VLBI Project. His research interests are centred around high angular resolution studies Activce Galactic Neuclei (AGN), including inter-stellar scintillation (ISS), applications of AGN studies to improve geodetic VLBI data products, multi-wavelength studies of kpc-scale quasar jets, a Space VLBI AGN brightness temperature survey, and surveys for and observations of gravitational lenses. Dr Lovell has a BSc (1st class Hons) and PhD in Physics from the University of Tasmania. His PhD thesis work involved an Australia Telescope Compact Array (ATCA) survey for gravitationally lensed quasars as well as detailed observations of a specific gravitational lens PKS 1830-211 with the ATCA and VLBI. Since completing his PhD in 1997, he has worked in Japan as a post-doctoral fellow at the Institute of Space and Astronautical Science (ISAS) on the VSOP (VLBI Space Observatory Programme), the first dedicated Space VLBI mission. He was then employed by CSIRO's Australia Telescope National Facility in Canberra where he continued his research and provided support for Radio Astronomy activities at the Canberra Deep Space Communications Complex (Tidbinbilla) from1999 to 2007. 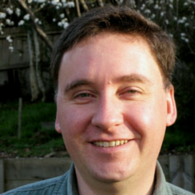 Since March 2007 he has been employed as Project Manager for the AuScope VLBI project at UTAS. Dr Lovell is a member of the International Astronomical Union and a Fellow of the Astronomical Society of Australia. He is a member of the Directing Board of the International VLBI Service (IVS). Between 2011 – 2013 he was a member of the CSIRO ATNF Time Assignment Committee. Since 2007, Dr Lovell has been Project Manager of the AuScope VLBI project. This has involved the construction and operation of a $7 million array of three radio telescopes in Australia (Hobart (Tas), Katherine (NT) and Yarragadee (WA)) designed specifically for geodesy. The construction of the array was completed on time and on budget and commenced operations in 2010. Dr Lovell now manages the operation of the array. Dr Lovell has supervised Honours and PhD students, and teaches third and fourth-year level physics topics associated with astronomy and astrophysics. The serendipitous discovery of a kpc-scale X-ray jet in PKS 0637-752 for which Jim was responsible for the follow-up radio observations This has led to a collaborative effort to understand the nature of X-ray jets through multi-wavelength observations with space- and ground-based observatories. The paper describing the discovery of the X-ray jet in PKS 0637-752 has 117 citations, and launched a new field of AGN studies that remains the subject of widespread community interest. Dr Lovell has authored or co-authored 172 papers of which 83 are in refereed journal publications. The objective of the AuScope NCRIS Project has been to establish the AuScope Infrastructure System an integrated blend of hardware, data streams, software systems, and technical capability that will provide a world-leading infrastructure for the earth and geospatial sciences in Australia. The AuScope system provides the underlying framework to understand the continuum of interlinked processes from the top of the Earths mantle through the crust to the surficial processes that provide for and constrain all human activity. It will provide an integrated context for researchers to conduct studies, especially where research outcomes demand a multi-disciplinary and multi-organisational approach. Each part of the AuScope infrastructure system will provide a critical building block for the overall framework a framework which will underpin future collaborative research and future enhancements of the infrastructure needed to provide answers to key science questions of National importance. The project will synthesize geophysical information, astrometric and space-based observations to improve the definition of the coordinate system used on Earth. The study will undertake fundamental new science using the AuScope radio telescopes and will characterise the inconsistencies that currently exist in defining the terrestrial reference frame, leading to a resolution of known problems and hence to more accurate geophysical studies that depend upon spatial observations (e.g. sea level rise, glacial isostatic adjustment, crustal deformation). Key reference frame and climate-change related science problems will be resolved simultaneously to deliver outcomes that will inform and prepare our society for future policy and research requirements. This research will determine the scale of the Milky Way Galaxy and the structure of its interstellar gas. It will generate a catalogue of primary reference radio sources for the extension of the International Celestial Reference Frame to the Southern Hemisphere. The project will extend this to the earth by linking the celestial reference frame to the terrestrial reference frame. This will fulfil the mission of the AuScope array by setting the Global Positioning System on a solid foundation in Australia and other Southern Hemisphere nations to measure changes in the Earth. The Australia Telescope National Facility (ATNF), CSIRO Astronomy and Space Science, manages the operation of the Long Baseline Array (LBA) facility within Australia. The LBA operates regularly, using radio telescopes across Australia, Including all ATNF antennas (the Australia Telescope Compact Array (ATCA), Mopra and Parkes), the 70-m and 34-m antennas owned by NASA's Canberra Deep Space Communications Complex at Tidbinbilla, and the Ceduna and Hobart antennas operated by the University of Tasmania. The Australian LBA also runs in collaboration with other international facilities (e.g. Hartebeesthoek, RSA) to provide intercontinental Very Long Baseline Interferometry (VLBI) observations.